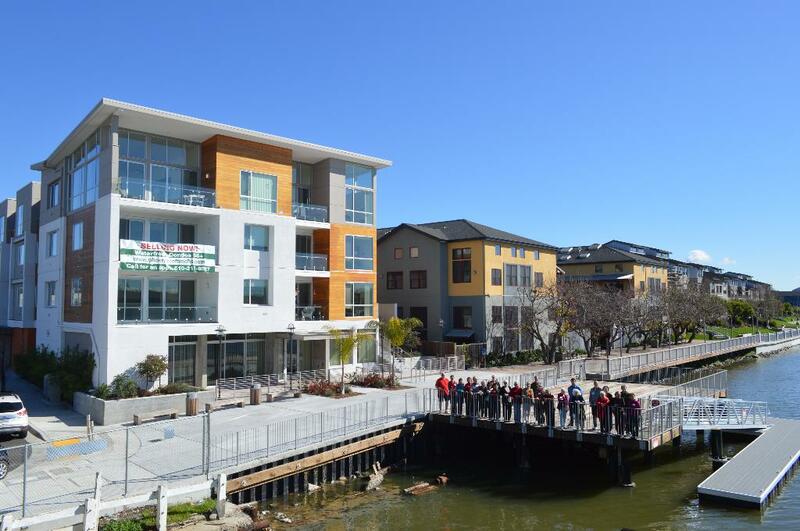 Phoenix Commons is a cohousing community for active adults aged 55 and above located in Oakland’s Jingletown neighborhood along the estuary at the foot of the Park Street Bridge to Alameda. Open for residence since March, 2016, in 41 units built with universal design principles, Phoenix Commons was the vision for aging well in community of Chris Zimmerman and Lauren Zimmerman Cook, co-founders of Elder Village Development. We the members of this intentional community are learning on the job the principles of participation, collaboration and consensus decision-making while working together and through committees to address community needs and concerns in such areas as wellness promotion, facility and common space management, finance, governance, landscaping, social and community engagement, and twice-weekly common meals. Our members come from a wide variety of backgrounds and geographies, contributing their skills and talents to create a dynamic and socially engaged community. They have various reasons for choosing to live here, in community with others, as we age in place together. Many of our members still work full-time while others are active in a variety of recreational, cultural social, civic and political advocacy activities. All are committed to building and sustaining our community and the social connectedness that has been associated with health and well-being in older adulthood.